WHAT’S the outlook for home prices over the next decade? It’s not easy to tell. We need to confront the basic fact that near the beginning of the 21st century, the market for homes in much of the world suddenly became more speculative than ever. This enormous housing bubble and burst isn’t comparable to any national or international housing cycle in history. Previous bubbles have been smaller and more regional. We have to look further afield for parallels. The most useful may be the long trail of booms and crashes in the price of land, particularly of farms, forests and village lots. Those upheavals may give some insights into the present situation, and some guidance for the next decade. 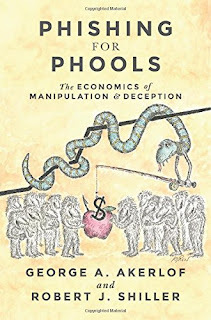 Thank you so much for posting these articles by Robert Shiller - it is a valuable service and I come here every few days as my first point of call to check for any new material by this superb economist. My thanks too. Same feelings. You're welcome! Glad it's helpful. How true. The housing bubble maybe universal, but the prices and leases are all different in situation. Some gains, some loses. It's just the fact that we should deal with it in that industry. I'm glad you shared this post. It helps in a lot of ways.